TMJ Treatment Oakville – Jaw pain is more common in Oakville then you think. Dr. Steve treats hundreds of TMJ patients in Oakville every year. He has had great success with both preventative and post-surgical treatment. TMJ treatment, although often painful can show great results after just one treatment. 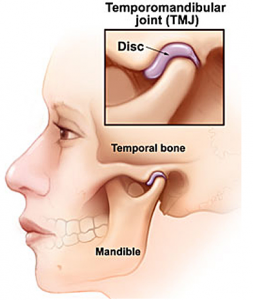 TMJ can be diagnosed without any diagnostic tests. 4. clicking/cracking of the jaw that could be painful. Severe TMJ disorders can make it difficult to chew your food and sleeping could become painful. At Nottinghill Family Wellness Centre in Oakville, Treatment for TMJ is never cookie cutter but there are some general guidelines we like to go by. 1. If treatment extends beyond the 8th visit without any substantial improvement in pain or Range of Motion we would ask our patients to visit their MD for a second opinion and possibly a set of X-rays or MRI of the Jaw.